This will be the focus of our quick trip to Rome. We will explore the sites and symbols of the early Church - the apostolic Church of Peter and of Paul - trying to re-discover how we are part of a Church that reaches back to Jesus himself. We will also relish and enjoy the beauty of our faith, its art and its architecture. Exploring lesser known churches and museums we will be inspired by the rich and complex heritage that is ours as Catholics. And, of course, we will enjoy Christian community. We will be in the heart of the Roman Catholic church, and we will build that community the way one does in Rome: prayer, great wine, even better food, and wonderful conversations in gorgeous historical places. 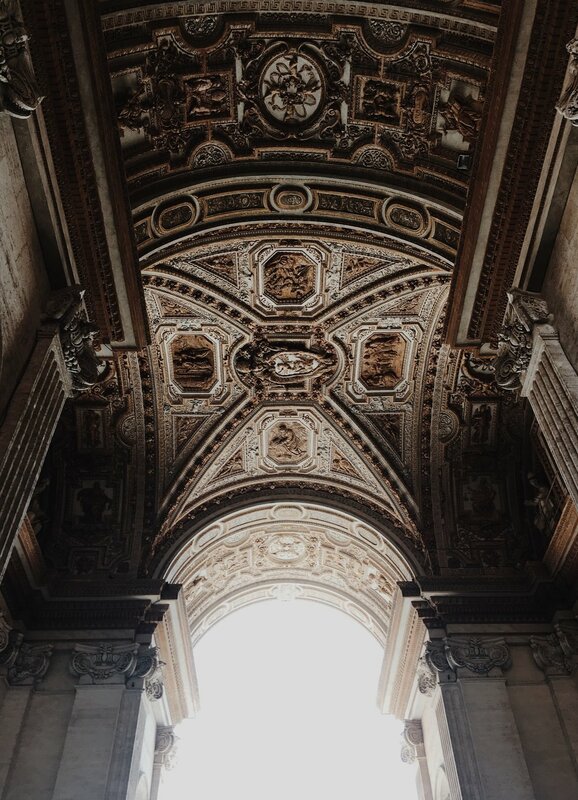 — Anytime // Arrive in Rome and settle into your accommodation. 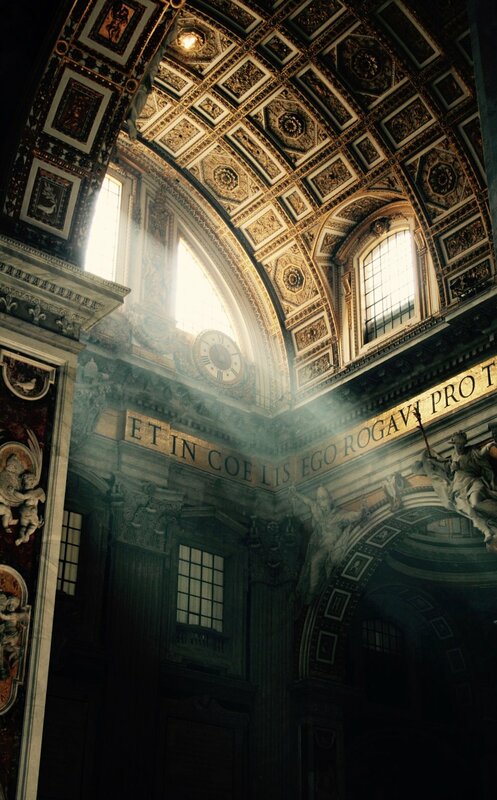 — 7am // For those who wish, Fr Justin will celebrate Mass in the Crypt of St Peter’s Basilica. —10am // Fr. Justin will lead a walking tour of St. Peter’s, plus time to explore on your own. Afterwards, we will go to one or two historic churches in the city centre, depending on time, followed by a light lunch. —7pm // The Vatican Museums by night. A guided tour of the most important work. The tickets are already purchased for our group, and we will have a guide in English. —9pm // Late dinner followed by drinks and discussion. — 10am // Tour with Elisabeth Lev. I’m still waiting to finalise this itinerary. As soon as it is, I will post it in the WhatsApp group. We will follow same format as in Dublin: Adoration, Confessions, followed by a talk afterwards. As this historic Roman church contains the rooms where St. Philip Neri lived, we will also have a chance to visit them if anyone would like. — 10am // For those who wish, Fr. Justin will celebrate Mass at San Apollinaire. Some may want to go to St Peter’s for Mass. —12pm // For those who want, Angelus with Pope Francis in St Peter’s Square. —1pm // Lunch at a nearby family-style restaurant. —4pm // Tour of Santa Sabina Basilica on the Aventine Hill. This is an ancient church, completed in 431AD, and built on the site of one of the homes where the Early Christians celebrated their liturgy. —5.30pm // A walking tour of the historic Trastevere neighbourhood: churches, shops, and views. —10:30am // Mass in the Catacombs of St. Callixtus, located on the ancient Appian Way. This will be followed by a tour of the catacombs and, if there is time, of the Roman ruins along the Appian way. For those flying back to Dublin in the evening, this morning plan is optional. This is up to your individual choice. You can stay in Rome as inexpensively or expensively as you prefer. Our general recommendation is to stay near St Peter’s Basilica or the historic centre if opting for Airbnb. Residenza Paolo VI // An upmarket hotel with a coffee terrace overlooking St. Peter’s Square. Palazzo Cardinal Cesi // A converted Cardinal’s Palace inside the Vatican. Starhotels Michelangelo // A modern hotel 7 minutes walk from St Peter’s. Hotel Sant’Anna // A nice 3-star hotel in the heart of Borgo Pio. Hotel Emmaus // Economic but clean hotel for those opting for practicality. Hotel della Conciliazione // A nice hotel in the heart of Borgo Pio. Atlante Garden Hotel // A 4-star hotel 7 mins walk from St Peter’s with airport transfer. Hotel Cicerone // A 4-star hotel 20 mins walk from St Peter’s behind the Palace of Justice. If you have any questions regarding accommodation please ask via the WhatsApp group. Book your flights sooner rather than later. We would recommend Aer Lingus as you will land at the more central Fiumicino airport.